This weekend's third meeting between Vitor Belfort and Dan Henderson might be worth your time for the inevitable spectacular knockout, but at this point in both men's careers there isn't a lot to tell you about either that you haven't already heard and the bout has little real relevance. Instead let's take the chance to look at four more quality strikers who you might not have heard of or may only remember in passing. It's been a while since I included a karateka on one of these lists, and you could do worse than spending an afternoon replaying the career of Norichika Tsukamoto. Tsukamoto was tremendously successful in the sport of Kyokushin karate with a more mobile style than is usual in that field. Often accused of running by the more fickle fans of the sport for his refusal to stand and trade body blows, Tsukamoto's kicking game was something to behold. In a game in which it is common for men to stand chest to chest, flurrying body punches, and then throw up a strained high round kick, Tsukamoto did a good job of sitting back, picking his spots, and making the angle and timing of his kicks count more than the effects of fatigue on his opponent. Tsukamoto scored numerous knockdowns with gyaku-mawashigeri, the reverse roundhouse kick. It's not a powerful kick, and it's largely seen as a gimmicky move with little practical application, but Tsukamoto proved it's efficacy. Tsukamoto also loved to land the right inverted roundhouse against the opponent's guard and jump into a left knee strike up the middle. In addition to the usual punishing round kicks and front kicks of Kyokushin, Tsukamoto's mobility allowed him to change to a side on position and jump in with powerful side kicks, or set up rolling kicks. During close range exchanges of body punches, Tsukamoto was constantly looking to shuck the opponent past him and perform a jumping knee to the side. The angle of this technique meant that Tsukamoto was raising his knee up next to him, but it was travelling straight up the opponent's centreline. A neat technique with a ton of potential for application in failed or broken clinches in MMA. With Muay Thai being the national sport of Thailand, there is little incentive for a successful Nak Muay to move away from it until he's truly done with his career. Let alone the drive to learn a whole new set of skills. Furthermore, the Thai government banned MMA in 2012, and the sport clearly holds a negative stigma in the country, so there isn't likely to be an influx of gifted Thai fighters any time soon. Rambaa Somdet is unique in that he was a high level fighter in Thailand—though never really considered one of the truly elite—before moving to Japan and opening a gym there. He fell in with some submission grapplers and, in fact, became quite competent on the ground. Despite a lifetime of kickboxing, only a little grappling experience, and being past his athletic prime, Somdet excelled in MMA to become the most accomplished straw-weight to date in MMA. Strangely enough, Somdet's excellent guard game has made the difference in many of his fights. Here's some of Somdet's work against Ulysses Gomez. But some of the Muay Thai chops have come with him to the ring. While he's a decent counter puncher and good with his knees, Somdet's best technique is his step up left low kick. He will usually throw this to the opponent's rear leg. With Somdet having a lifetime of conditioning to kicks on his side, and against opponents who rarely take kicks to their rear leg, this soon starts to tell on Somdet's opponents. Now forty-one years old, and having been ranked as the best in a division the UFC doesn't have for years, it seems unlikely that you will get to enjoy Somdet on the big stage, but his fights are all over YouTube and well worth your time. Locche is among the strangest fighters you will ever see. One of those wonderful products of hours and hours of sparring combined with tremendous instincts. 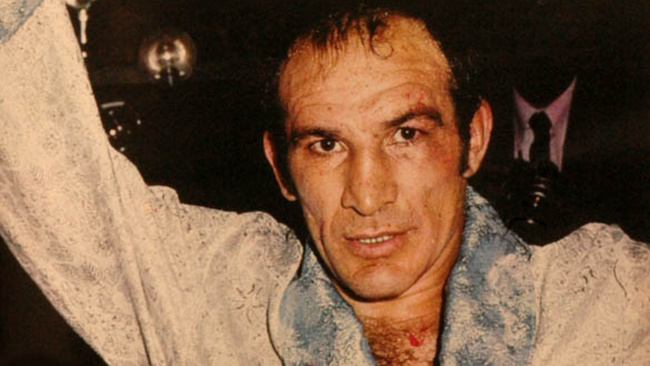 As a light welterweight, Locche's fourteen knockouts in one hundred and thirty-six fights might not suggest greatness or even appeal to the public but a quick look at some of his bouts will quickly bring you up to date on just why this boxer was so beloved. El Intocable, as his countrymen called him, was one of the finest defensive artists of all time. He could stand in a corner and dip out, sending his man careening into the post. He could put his hands on his thighs and take a rest while slipping jabs. He could tie anyone up whenever he wanted and he always seemed to know which punch would follow the one he had just slipped. Like James Toney, Locche struggled to care about the non-boxing aspects of being a professional athlete—legend even has his coach holding Locche's cigarette to his mouth between rounds of sparring—but in the ring he was tremendous. As an offensive fighter his defensive wiles often served to his detriment. He was not always economical in his movements, bending at the waist or leaning well back to evade punches and not returning to a position of strength before punching. His attacks were slapping and lacked power, and consequently he scored very few knockouts. One of the most significant finishes of his career came as he won the WBA Light Welterweight title from Takeshi Fuji. Fuji was so frustrated by being unable to hit Locche that he quit in the tenth round from exhaustion. I have had a soft spot for Noiri since I met him at a Glory event in Japan and had no idea who he was. In his first match of the night, Noiri was being troubled by the smothering hands and effective boxing of British Muay Thai legend, Liam Harrison. In the second round, Noiri stepped in almost chest-to-chest and brought a left knee up from nowhere. It lacerated along the underside of Harrison's right eyebrow and blood began pouring from the cut. Noiri was awarded the TKO and I have followed his career closely ever since. Noiri, another fighter from a knockdown karate background, has managed to take the hopping and arcing knees of that form of competition and utilize them in kickboxing. A principle that Noiri demonstrates beautifully is the power of being able to raise the knee as high as possible, quickly. Noiri has scored more knee strikes to the head without control of his opponent than perhaps anyone I've seen. With a loose, one handed hold on the head or with no control at all, Noiri will pick his knee up straight from the floor to as close to his own collarbone as possible and catch his opponents off guard with the speed of the motion rather than the power of perfect form. The same ability to get that knee up fast allows him to chamber the front push kicks to the face that he loves so much, even immediately after taking defensive actions. His rivalry with the other great Japanese featherweight, Yuta Kubo has been an entertaining one to watch as they have both grown and while Kubo has the cleaner boxing and the more technically sound all around game, Noiri's inventiveness and the unique nature of his best blows makes it one of those match ups which will never stop being a battle of wits. There you have it, four more top strikers you may or may not have known but who are all worth your time to study and are doing things we've yet to see used effectively in the UFC. Tune in tomorrow for episode three of Jack Slack's Ringcraft—a ten minute study on one mystery fighter.